Virginia, officially the Commonwealth of Virginia, is a U.S. state located in the South Atlantic region of the United States. The geography and climate of the Commonwealth are shaped by the Blue Ridge Mountains and the Chesapeake Bay, which provide habitat for much of its flora and fauna. The capital of the Commonwealth is Richmond; Virginia Beach is the most populous city and Fairfax County the most populous political subdivision. The Commonwealth’s population is over eight million.Virginia’s major industries include manufacturing, technology, and tourism. Names of Virginia corporations name may not be confusingly similar to that of any domestic or qualified foreign corporation. Company Express will research your company name to make sure it meets Virginia’s standards. Required documents: Articles of Incorporation filed with the State Corporation Commission. Turnaround time: About 20-25 business days. 24 hours expedited fings are also available for an additional fee. Corporation’s principal office may be located outside of the state, but local registered agent is required in Virginia. Time to file: Corporations must file annual reports with the Virginia State Corporation Commission before the last day of the month that marks the anniversary of incorporation. The state filing fee is based on the number of authorized shares and is between $100 and $1700. Signatures: Only directors or company officers are authorized to sign annual reports. Emailed or faxed signatures are accepted. Names of Virginia Limited Liability Companies name may not be confusingly similar to that of any domestic or foreign qualified LLC. Company Express will research your company name to make sure it meets Virginia’s standards. Turnaround time: About 20-25 business days. 24 hours expedited filings are available for an additional fee. 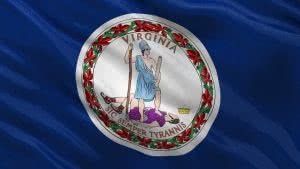 Virginia permits an LLC’s principal office to be located outside of the state. Time to file: LLCs must file a Registration Fee Assessment with the Virginia State Corporation Commission by the last day of the month that marks the anniversary of incorporation.